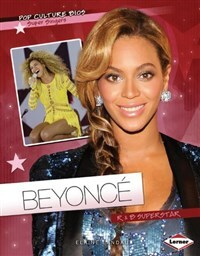 You may know that Beyonc is a gifted R & B star who has made a splash in the worlds of music, dance, and acting. But did you know that Beyonc: was super shy as a child, yet she loved to ham it up in music and dance classes? goes by Bee among family and friends? once had her toe broken by a bodyguard when he stepped on it while trying to protect her? Want to know more about the life of this talented celebrity? Read on to learn all about Beyonc's childhood, family, career, true personality, current projects, and more! Elaine Landau has written over one hundred books for young people on a variety of topics ranging from AIDS to terrorism. She lives in Miami, Florida.